I am all for having appropriate and original artwork in your workspace, office or business. 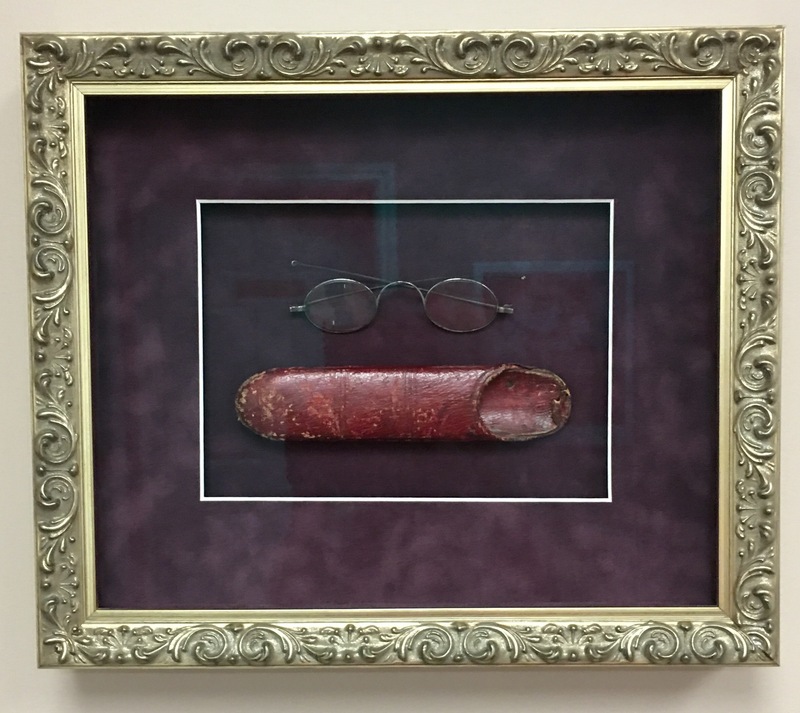 So I was most pleased when my optometrist’s office asked us to frame up some frames for them. Although we finished up this project about a year and a half ago, I was just in as a patient and was pleased to revisit them. Unfortunately, when we hung them I was living under the serious delusion that I could live my life without a phone complete with camera. I have since embraced, or overly embraced some might say, the technology that an iPhone provides me… so here are the pictures that I didn’t get to take back then. 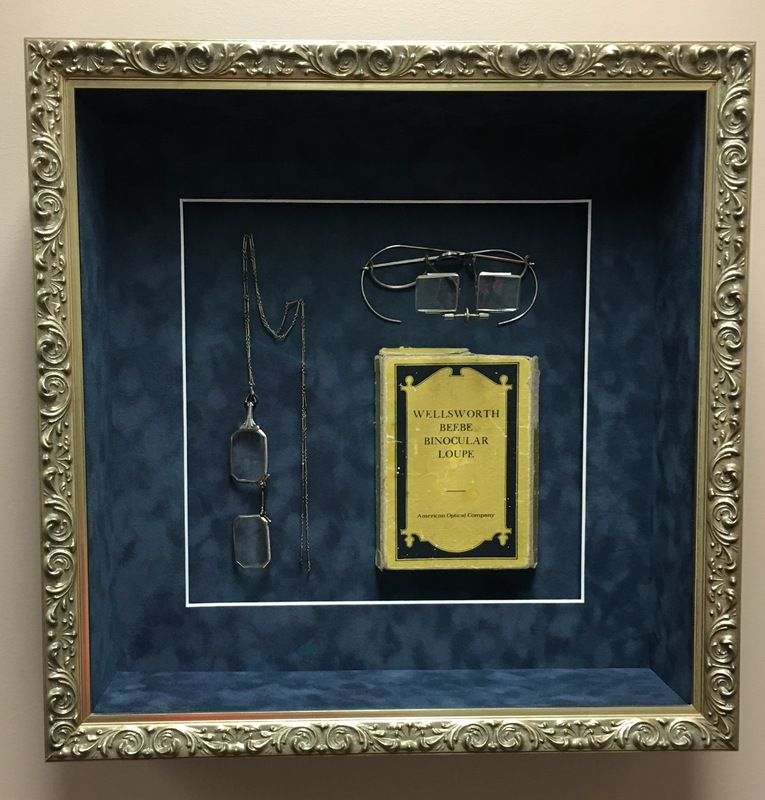 A medley of eye popping suede mats in ornate frames make antique glasses works of art in their own right.